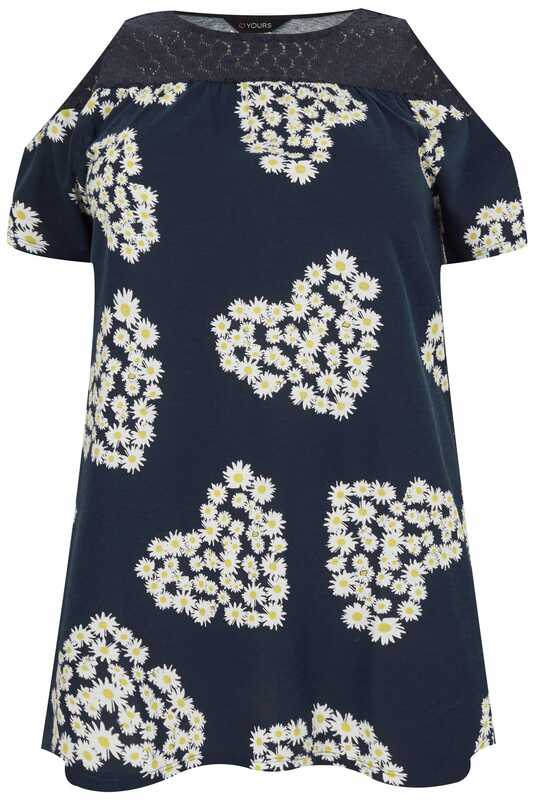 Made from a comfortable jersey fabric, this stylish top will add a pop of colour to your look. 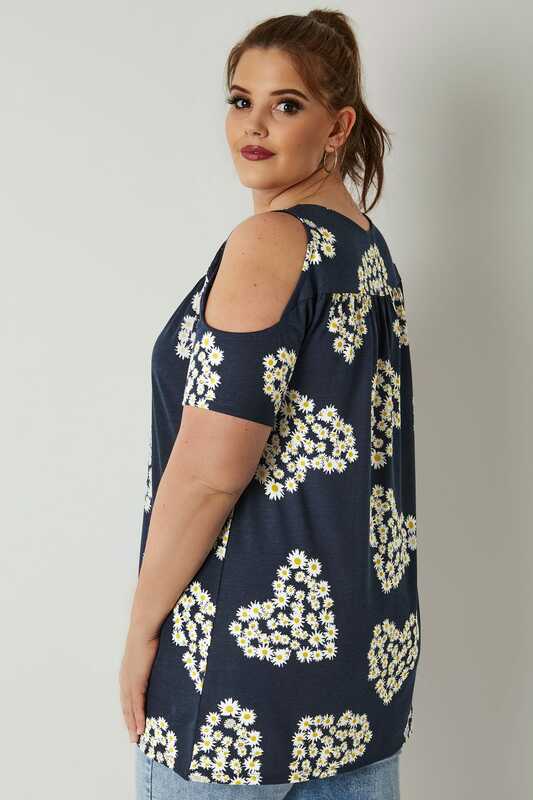 Complete with a pretty lace yoke and cold shoulder cut outs, it will team perfectly with skinny jeans and pumps to finish the look. 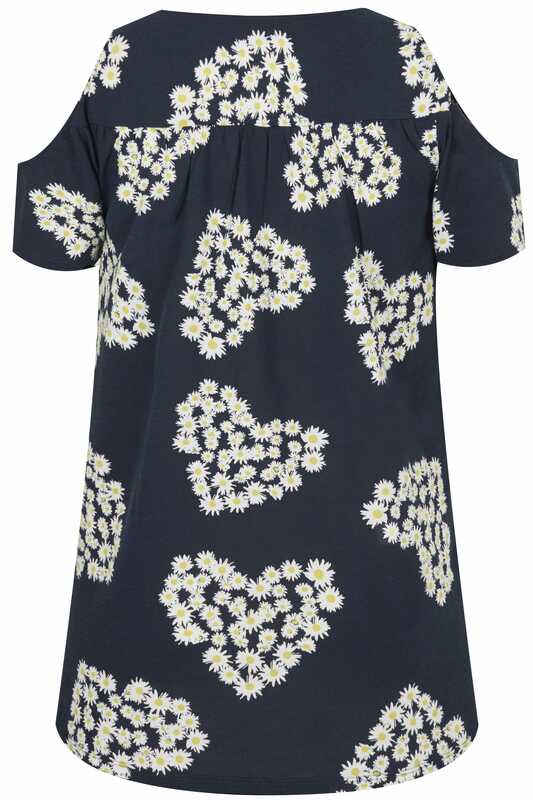 We love the elegant daisy heart print.